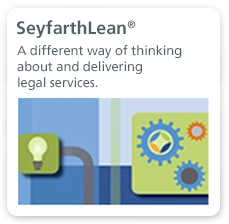 Seyfarth Shaw has been at the forefront of representing federal contractors in matters involving affirmative action compliance since the origination of these legal requirements. With the jurisdiction of the increasingly active Office of Federal Contract Compliance Programs (OFCCP) swelling to cover a very large proportion of the U.S. workforce, Seyfarth’s OFCCP & Affirmative Action Compliance team is more in demand than ever and has earned its reputation as the premier practice in the country for employers seeking counsel in complying with affirmative action requirements contained in Executive Order 11246 and related federal affirmative action laws, the subsequent regulatory refinements to them, and the litigation which ensues from enforcement actions under these requirements. Our many years of experience and our insider-savvy give our clients the resources they need to navigate the complex field of ever-changing laws and regulations, including state and local affirmative action and equal opportunity requirements. 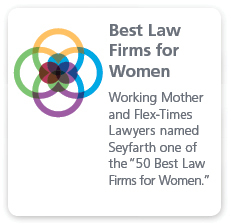 Seyfarth’s OFCCP & Affirmative Action Compliance team pairs some of the nation’s best known and most accomplished attorneys on affirmative action compliance and diversity best practices, metrics, progress and change management with equally accomplished affirmative action advisors and data analysts. Together, the team efficiently delivers affirmative action plans of the highest quality, effectively manages a fully-integrated approach to diversity and affirmative action compliance which maps trends and spots issues to manage risk and prevent litigation, and counsels and defends clients facing audits, enforcement actions or other proceedings. Our team believes in a practical, pragmatic and responsive approach to handling OFCCP audits and other proceedings. Our excellent relationship with the OFCCP, including the agency’s awareness of our deep expertise and thought leadership in this field, serves our clients well as we vigorously defend their interests. Our reach on compliance matters is nationwide. We have defended clients in every OFCCP Region and virtually all District offices. Our clients range from Fortune 100 companies to small employers in all industries that provide supplies and serve federal, state and local government. 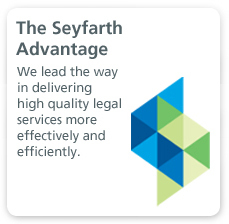 For each of our clients, Seyfarth is committed to reducing liability, managing risk and achieving compliance. Our reach on diversity matters is global. We were one of the first firms to assist our global clients in conducting diversity metrics, being sure to observe non-U.S. restrictions on the collection and use of various types of demographic data, and to observe relevant privacy laws and practices. Through this work, which includes advice regarding the lawful implementation of diversity practices and programs, we have been successful in assisting clients in developing a foundation for greater diversity and equal employment opportunities within the U.S. and beyond.